Pin-striped notebook. 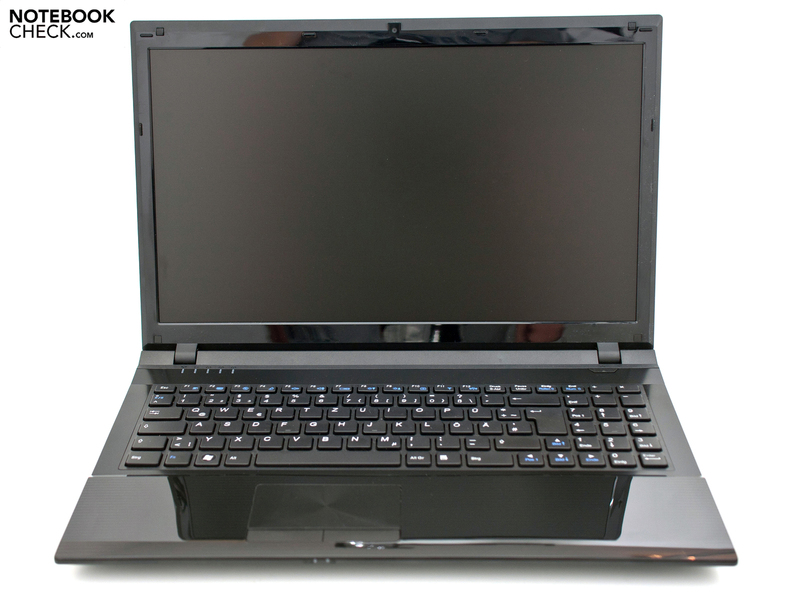 In addition to the known gaming notebooks, the Leipzig Company Schenker now also offers a simple office device with a matt 15.6 inch display with the Xesia E510 Entry. The elegant notebook goes over the virtual counter at a start price of 449 euros. 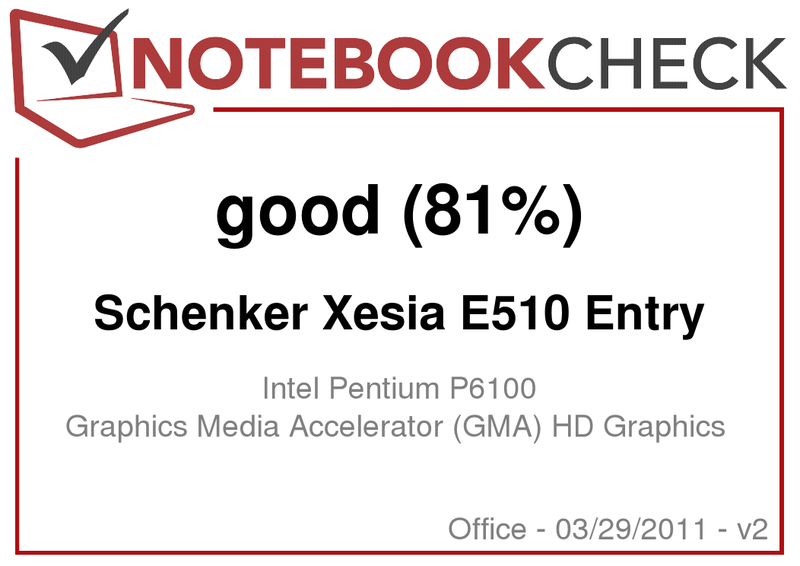 Schenker's latest portfolio of entry-level devices includes the Xesia E700 with a 17.3 inch display and the Xesia E510 Entry with a matt 15.6 inch screen that we've reviewed. The bases of both devices differ, resulting in an unequal design. As usual for Schenker notebooks, a base configuration is given. 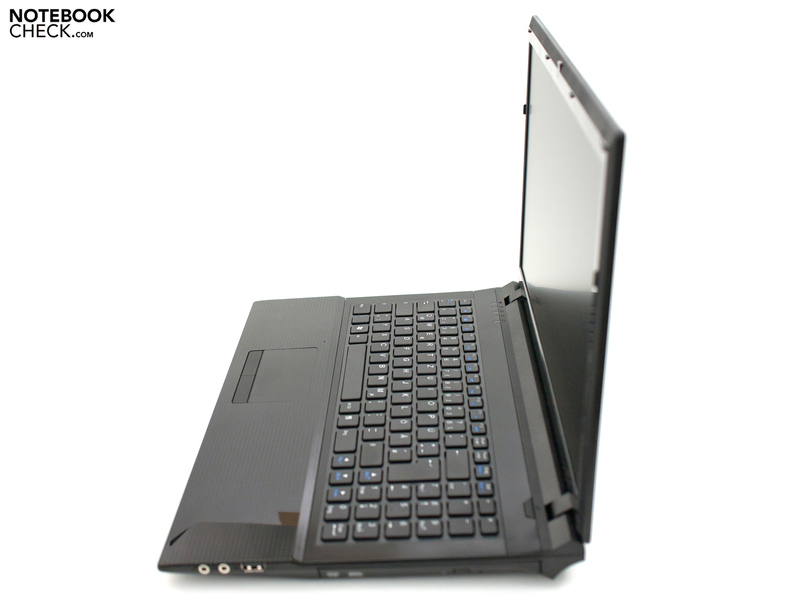 It consists of a 15.6 inch display with 1366x768 pixels, an Intel Pentium P6100 including the incorporated Intel GMA HD Graphics, a 4 GB DDR3 RAM and WLAN standard 802.11n. 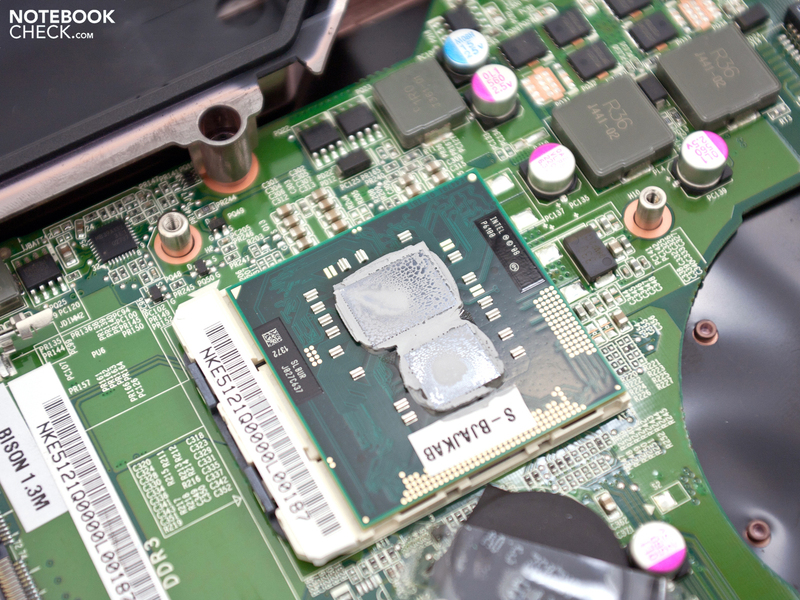 Individual modifications are possible in terms of CPU, the memory unit and the optical drive. The latest Sandy Bridge processors aren't available. In return, five Arrandale CPUs up to the Intel Core i7-640M can be ordered. 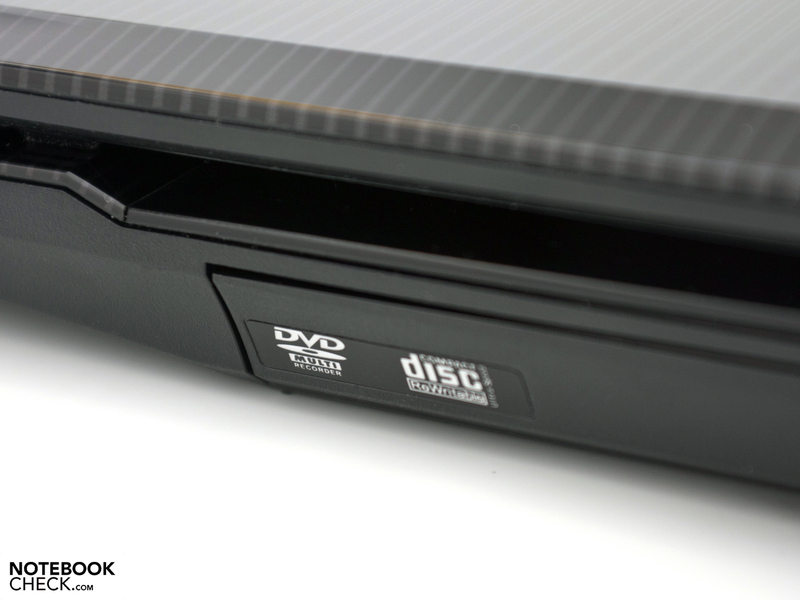 Even modern solid state drives (SSDs) or a BluRay burner can be built in upon request. 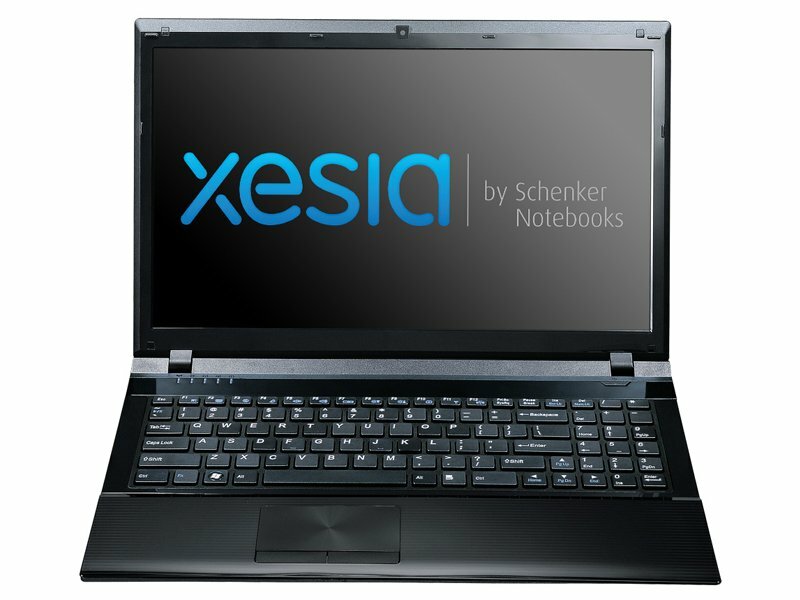 The price for the Schenker Xesia E510 Entry starts at a low 447 euros (RRP) without an operating system and is quite impressive. 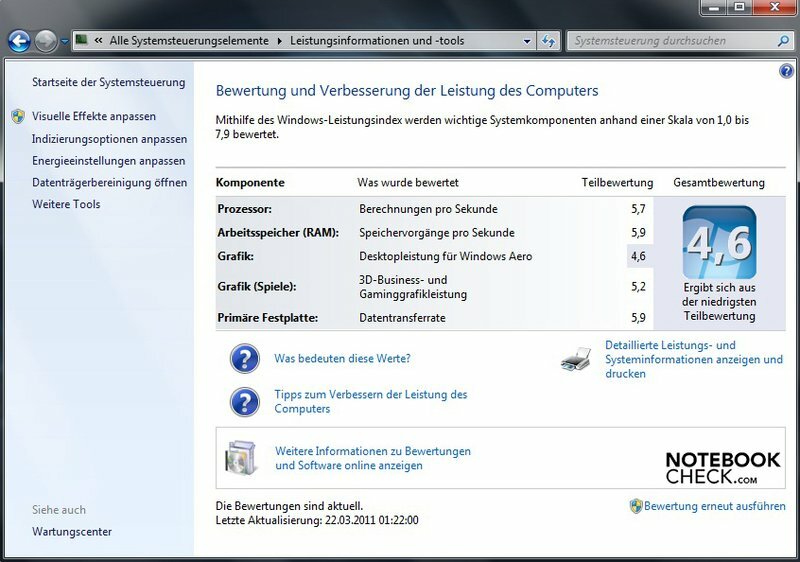 Our test configuration including Microsoft Windows 7 Home Premium is available for 544 euros with shipping. All devices from Schenker receive a 24 month warranty with pick up & return ex-factory. A price cutter with good service that could intimidate the vast amount of discount offers and bargains? The Clevo barebone, E5121Q, builds the basis. The striped pattern looks very chic. Schenker uses the Clevo barebone, E5121Q, for the Xesia E510. It is supposed to convince with a slim case and elegant design. 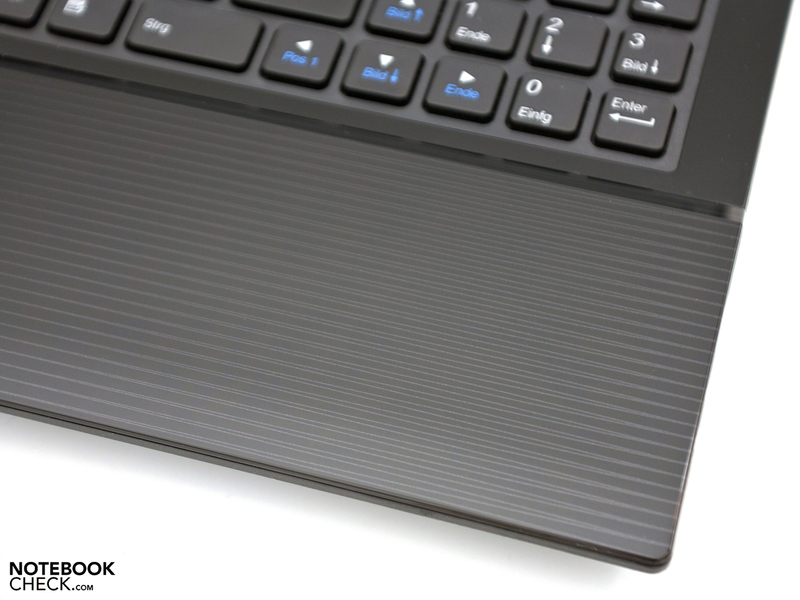 The wrist-rest and display lid are adorned by a very chic, but at the same time plain stripe pattern. The other case parts bid a mix of matt and glossy elements that look well matched. The chassis is made of simple plastic and makes a good impression at first glance. However, the second glance reveals the comparatively cheap looking workmanship and sharp case edges. The case's stability is all right for the most part. The wrist-rest and the display lid are the familiar weak points. They visibly yield under stronger pressure. 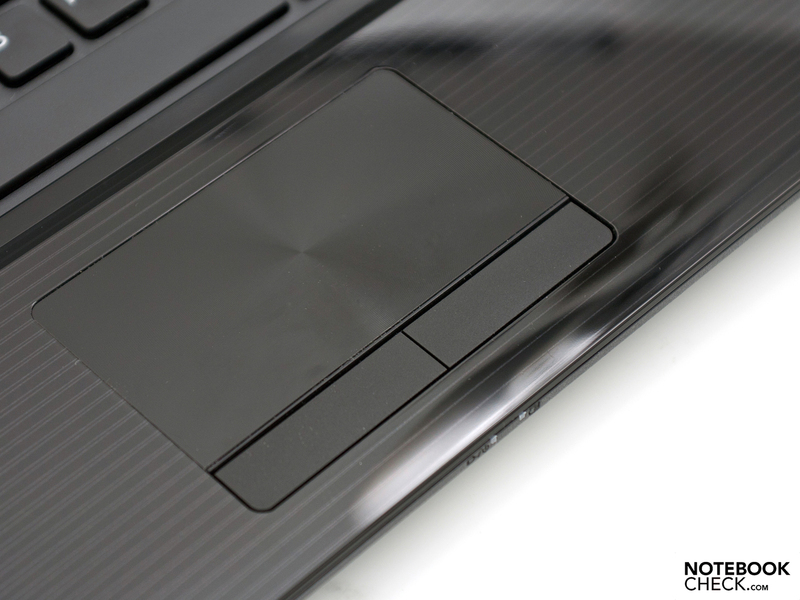 The surfaces' resistance is adequate, but fingerprints, scratches and dust have an easy game on the high gloss parts. The display can be twisted slightly, but you shouldn't overdo it. The display's hinges do their best, but an evident teetering remains to be a reason for reproach. 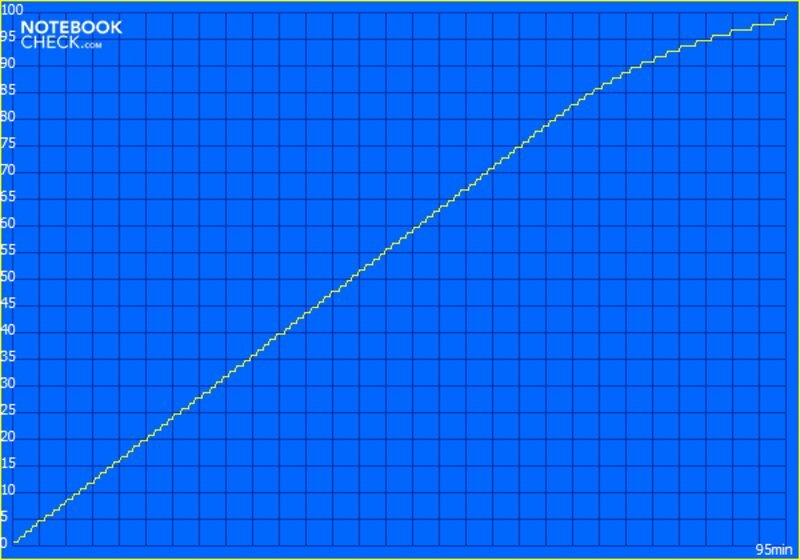 The case's dimensions of 374x250x14.3 – 34.1 millimeters (w x d x h) as well as the total weight of 2.41 kilograms are within an acceptable range for such a laptop. The positive thing about the Clevo barebone is the possibility of upgrading the hardware. 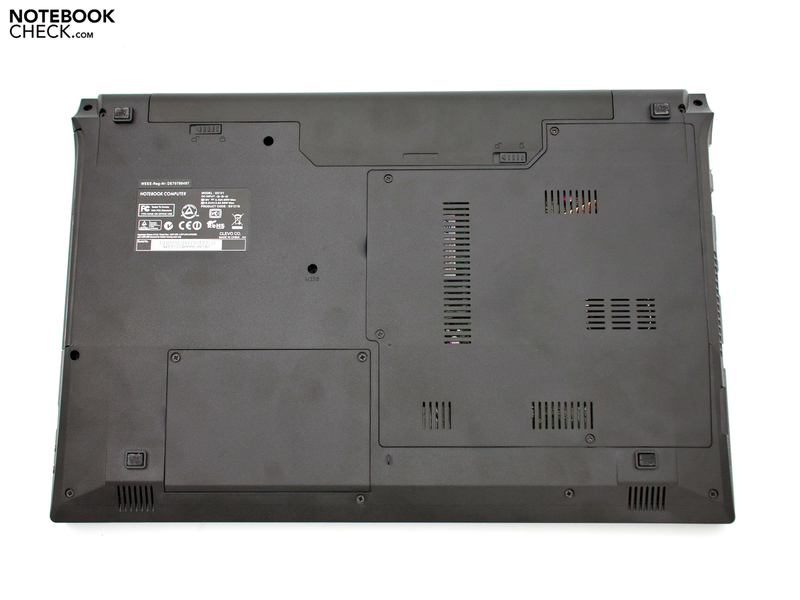 The RAM, the hard disk and even the processor can easily be replaced via two maintenance covers. All ports that a laptop of this size and price range should offer are found on the case's sides. 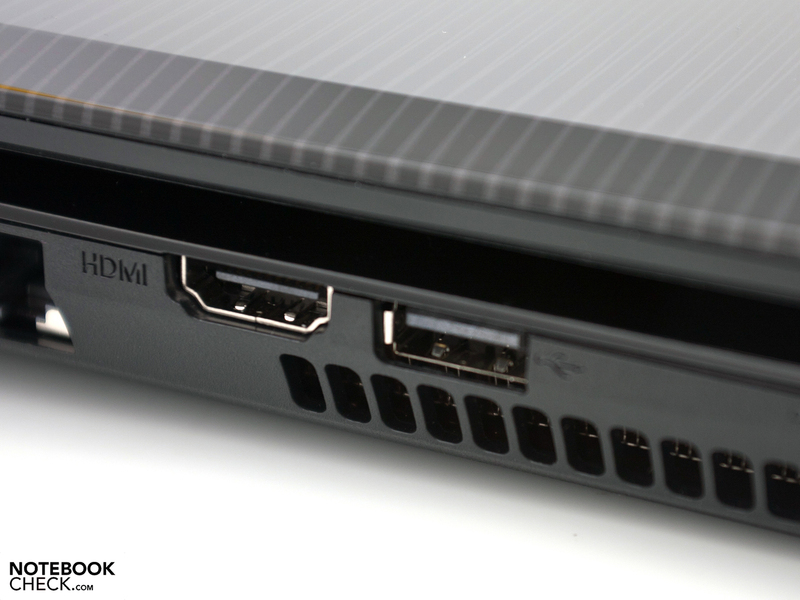 In addition to the usual ports, such as three USB 2.0 sockets, a VGA, a RJ45 network socket, a DVD drive, the audio sockets and a cardreader, there is also a HDMI out (version 1.3). Thus, basically there's hardly anything left to be desired. However, a USB 3.0 port would have been perfect for the higher priced E510 Entry configurations. The port distribution is good and room problems shouldn't turn up among the single ports. The scope is sufficiently sized in view of the price of about 500 euros. There isn't USB 3.0 or an ExpressCard slot even for the more expensive configurations available, though. The left side accommodates a RJ45 network socket that is accessed by a controller from JMicron. It supports the latest gigabit standard with a maximum transfer rate of 1000 Mbit/s. 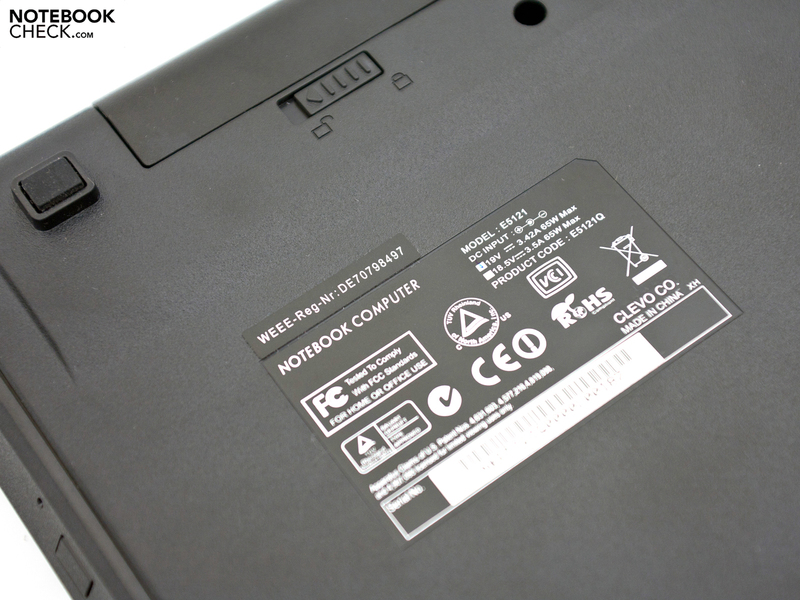 Moreover, the Schenker notebook has an 802.11n WLAN adapter from Realtek. This entry level laptop doesn't supply Bluetooth or a UMTS module. However, these functions can be added via the USB ports. The scope of delivery is limited to the most necessary for immediate use. The matching adapter, the 6 cell battery, software and drivers CD and a manual is found in the box beside the laptop. There are no extras since that would boost the basic price. However, accessories can be attained upon request over Schenker's own direct sales section. In regards to software, the notebook is delivered without an operating system and annoying additional software ex-factory. The device is also available with pre-installed Microsoft Windows operating system, including Office 2010 Starter, for starting at 95 euros. Other options only include full versions. Fortunately, there is no bloatware, pre-installed freeware or the usual test versions. The full version of the selected operating system is also provided on a data carrier. Alike other Schenker notebooks, the Xesia comes with a 24 month warranty including pick up & return service. 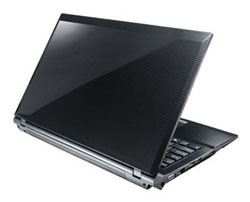 Many suppliers of low cost entry level laptops save on this and only offer a 12 month warranty without pick up & return. This service provided by Schenker is included in the purchase price and can even be extended for a surcharge. You can choose between a 36 month warranty or a 48 month warranty, both including pick up & return, for 140 respectively 230 euros. A bonus point of Schenker's Xesia E510 is the full size keyboard in a single key layout. It is Clevo's standard keyboard. The key size of 15x15 millimeters and the dedicated number pad on the right facilitate working. The subjective typing feel is compelling and the large wrist-rest prevents fatigue. The pressure point is clear and the pleasant stroke is convincing. The clattery noise development while you're typing could get annoying in the long run and also makes a cheap impression. The touchpad's surface structure, made of many little circles, is elegant and unusual. It creates a corrugated surface that allows accurate navigating. However, it also loves fingerprints. It has an agreeable size with a diagonal of 9.5 centimeters and the supported multi-touch gestures simplify use. Nevertheless, there is a horizontal and vertical scroll field available. Two mouse keys are located beneath this input device. The key drop has turned out a bit short and lets the feedback fall slightly on the wayside. Our test sample represents the smallest device of Schenker's new Xesia range and has been equipped with a mainstream 15.6 inch display. It has a resolution of 1366x768 pixels in a 16:9 format (WXGA) and a matt display surface. Higher (interpolated) resolutions aren't available in Windows 7. However, the native resolution appears to be sufficient for the intended application field. Optional screens, like they're offered for other Schenker ranges, aren't available and you'll have to make do with the LG screen. 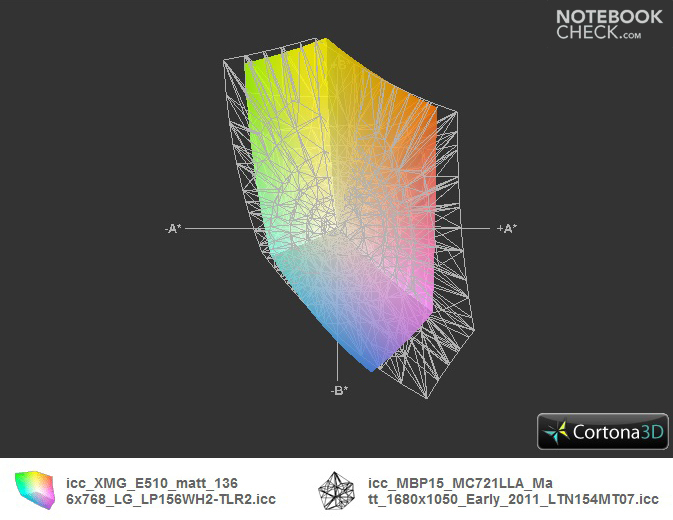 The screen, model LP156WH2-TLR2, made a good impression in the brightness assessment. The maximum rate of 262 cd/m2, as well as the average of 245.4 cd/m2, is in the top field of this price range. An illumination of 86 percent results due to a slight brightness deviation from the bottom towards the top. We didn't notice a visible clouding, though. The determined black value of 1.95 cd/m2 doesn't allow a saturated black reproduction and its rendering looks rather more like dark gray. Another drawback that is particularly noticed during outdoor use is the low contrast of 134:1. The Xesia E510 Entry doesn't score very well in the comparison of the reproducible color space with the sRGB reference color spectrum. It doesn't come even close to covering it. This should however be ensured for professional use in the image editing field. Despite a large and not very portable case, outdoor use could be a possible application scenario. 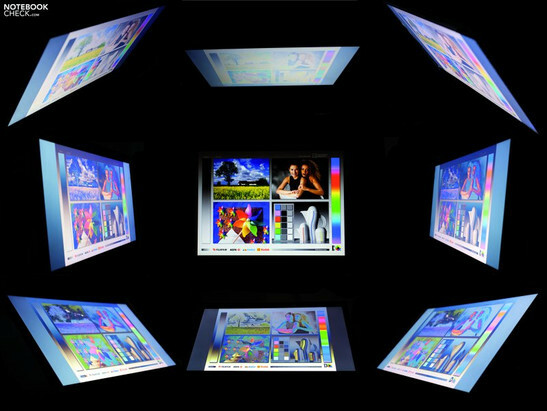 The matt display surface and the acceptable brightness rates bid the necessary requirements. The colors merely bleach visibly in direct sunlight. Working is nevertheless possible albeit with restrictions. A drawback is the partly glossy display bezel. 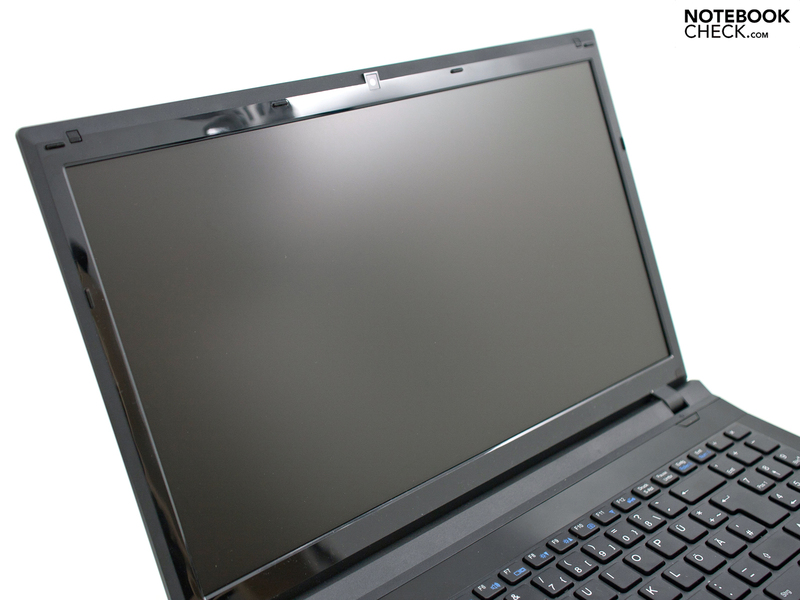 The viewing angle stability complies with the standard performance of a low price screen. Horizontal rendering is stable up to about 145 degrees, even in fairly narrow angles. On the other hand, a slight deviation on the vertical plane leads to inverting, respectively bleaching, of the reference picture. 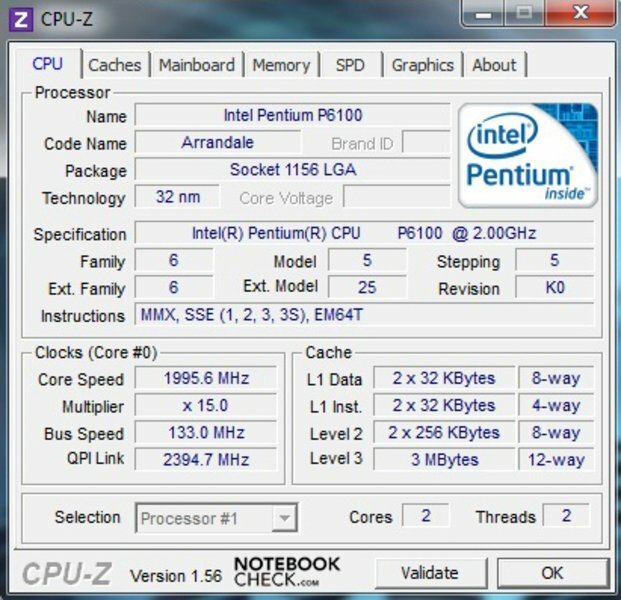 In addition to the 2010 Core i3, i5 and i7 CPUs (Arrandale, HM55 chipset), you can also find the Intel Pentium P6100, based on the same platform in Schenker Notebook's list box. This CPU was installed in our test device. In comparison to the other processors, this entry model lacks the overclocking function via Turbo Boost, as well as support from the Hyper Threading technology. 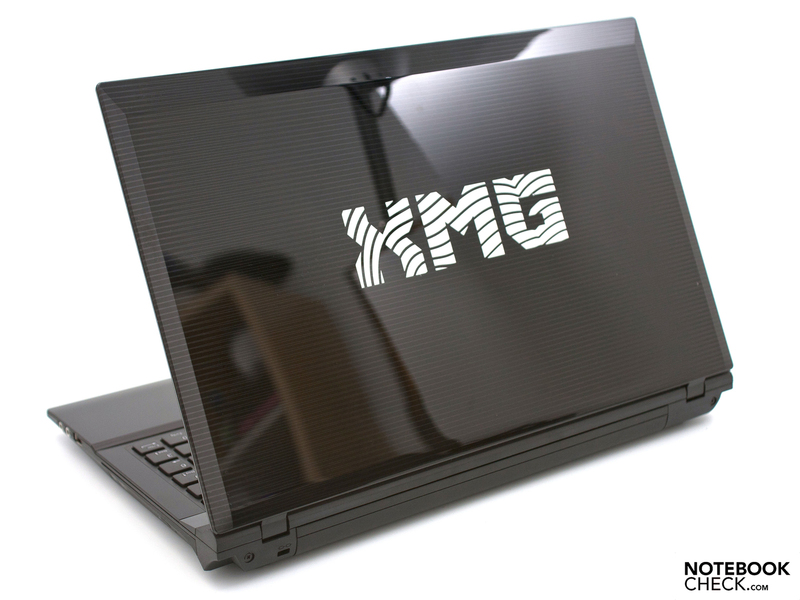 The processor is clocked with 2 GHz and accommodates the incorporated Intel GMA HD graphics unit. Despite its comparatively weak performance, the nominal power loss (TDP) is 35 watts. 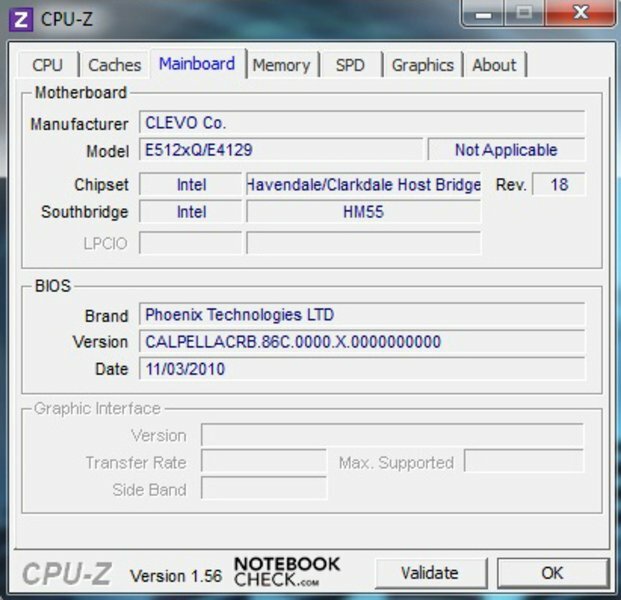 A 4 GB DDR3 10660 RAM, which isn't addressed with the entire clock rate, and a 500 GB hard disk from Samsung also belong to the Xesia E510 Entry's hardware configuration. The components can easily be upgraded via two large maintenance covers on the bottom. The RAM is limited to 8 GB on two banks. A different hard disk, a hybrid drive (HDD+SSD) or a sole solid state drive can be installed on the hard disk side. Schenker offers these options in its configurator. The Xesia supplies performance reserves on a basic level in terms of pure performance in our various benchmarks. 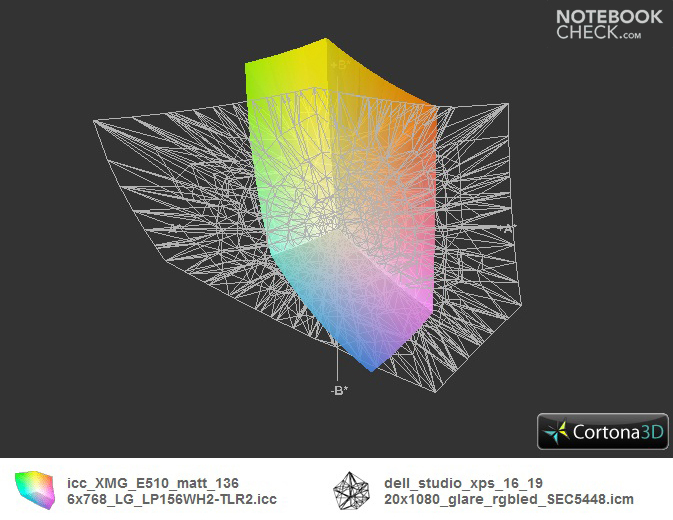 The CPU performance is in the lower third of our data base with 5536 points in Cinebench R10 Multi Thread Rendering. Subjectively, the performance convinces with a fast window build up and short booting times in Windows 7. The incorporated GMA HD isn't very suitable for games. The total score of weak 1550 points in 3DMark 2006 from Futuremark confirms this. The new Intel Sandy Bridge CPUs with incorporated GMA HD 3000 Graphics provide a slight performance boost (around 3000 points in the total score). PCMark Vantage is a system benchmark that rates the complete package. The E510 Entry achieves 4337 points and again is in the center field of our database. Devices with an Intel 2010 Core i3 and i5 CPU are in its immediate vicinity. 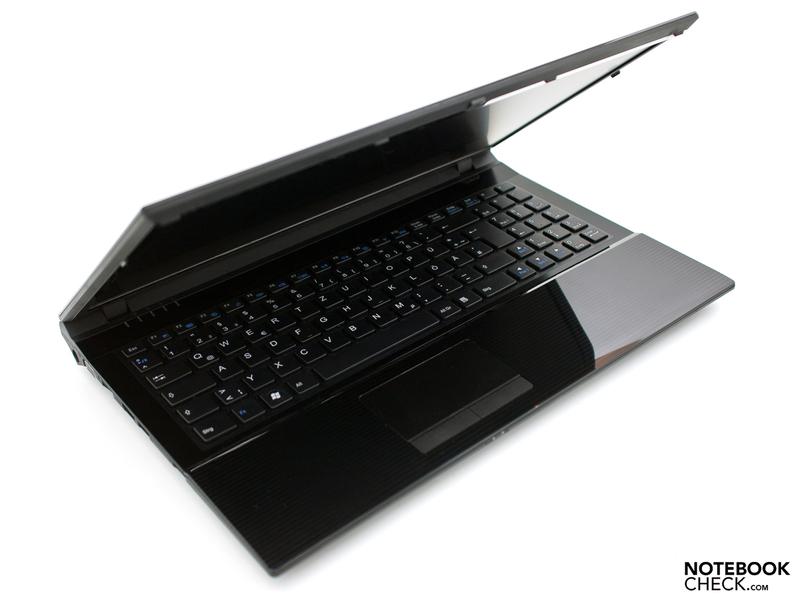 Among them, the Asus P42JC with an i5-450M or the MSI CR620 with an Intel Core i3-350M. Devices with an AMD Phenom CPU are also on the same level. 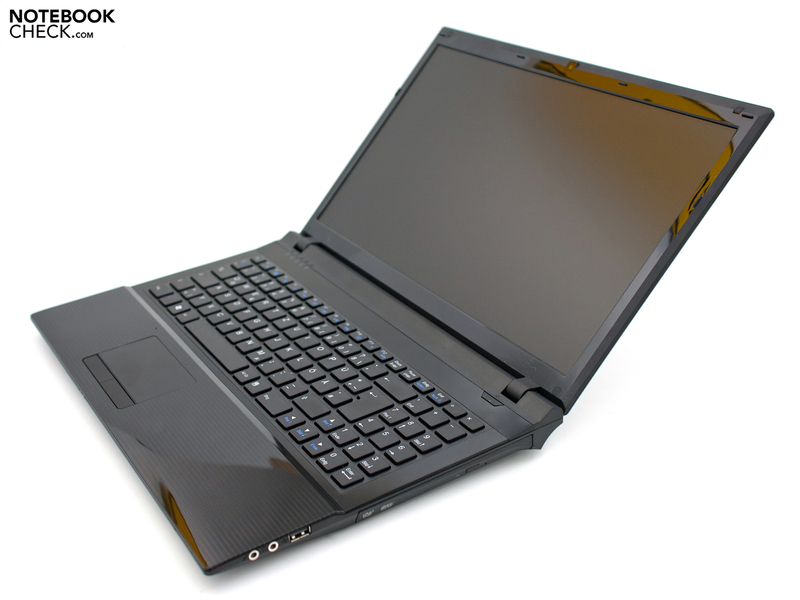 For example, the Toshiba Satellite L670D with a Phenom II X3 P820 triple core processor. You can choose among 15 various options for data memory units. The tested Samsung HM501II (Spinpoint M7) with a gross capacity of 500 GB at 5400 revolutions per minute is included in the purchase price. 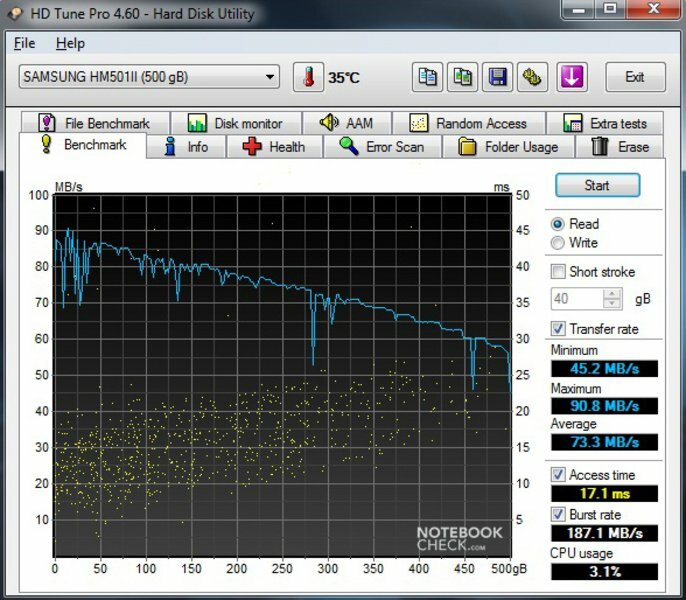 The maximum sequential transfer rate (read) of 90.8 in HDTune Pro, respectively 80.93 MB per second in CrystalDiskMark is on a good average. 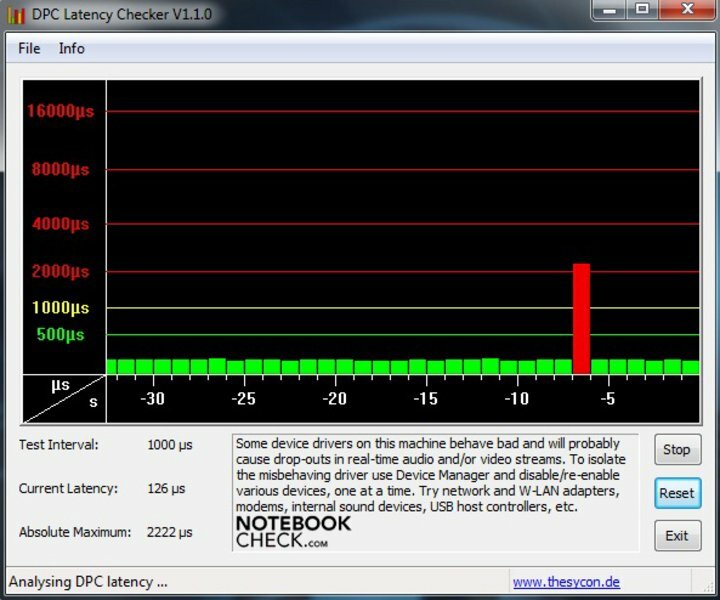 The access rate of 17.1 milliseconds slows the system down in terms of system speed and booting times. 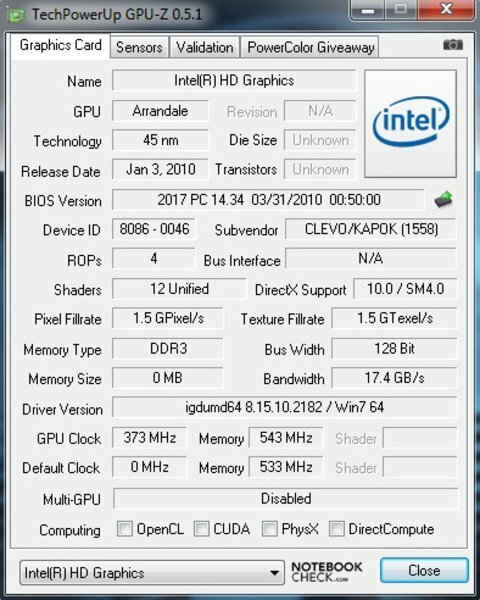 The fan is hardly ever inactive in idle. We could determine 34.0 dB(A) at the peak. The device is already very audible in this state. The hard disk stays discreetly in the background with 32 dB(A) and isn't noticed adversely. The Xesia E510's fan turns up during load and the maximum noise level is a constant 40.8 dB(A). However, this condition will hardly ever, if ever, be reached in routine office use. 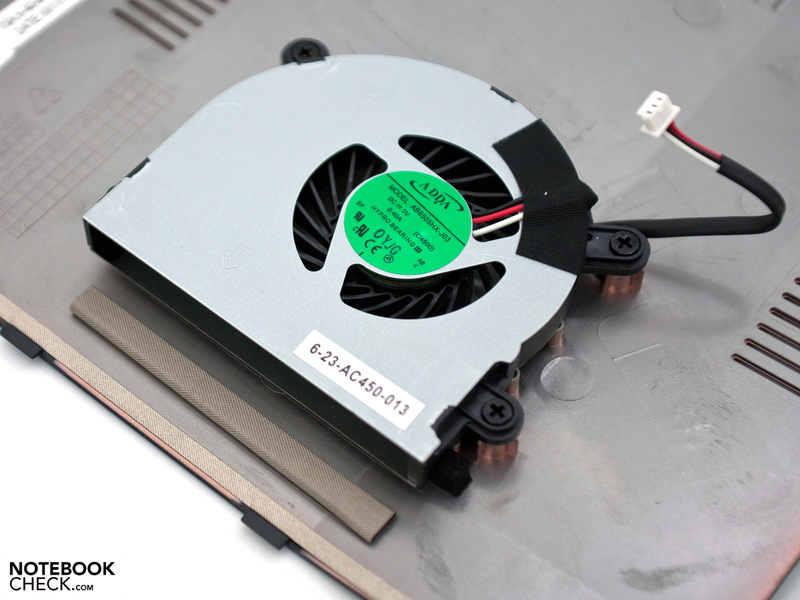 The fan is located directly beside the processor and has to cool a large empty space in the case. Numerous vents are given for a good cooling. A maximum of 39.1 degrees Celsius is reached on the case's bottom in idle mode. Working isn't impaired, but the temperature in the fan's vicinity is very noticeable. 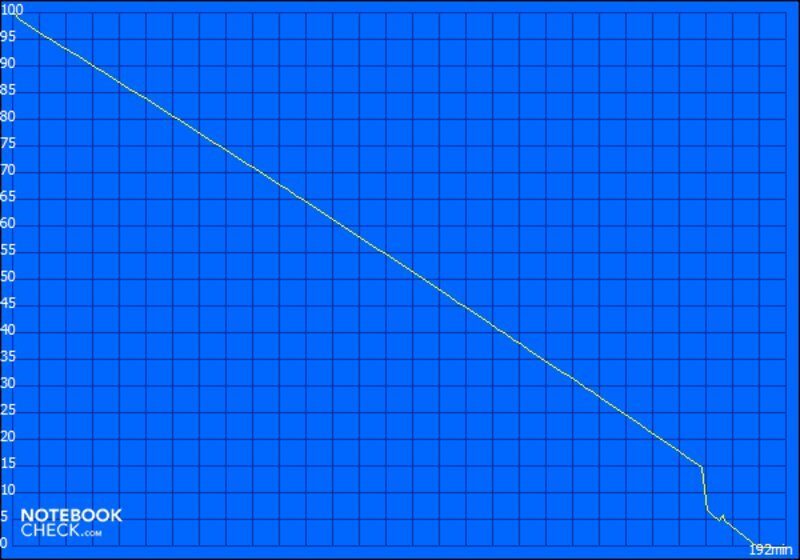 The rates on the bottom hardly increase during load, which is due to the permanently running fan. However, an increased rate of 37.4 degrees Celsius is recorded above the keyboard. Nevertheless, the wrist-rests and keys stay cool. (+) The maximum temperature on the upper side is 37.4 °C / 99 F, compared to the average of 33.9 °C / 93 F, ranging from 21.2 to 62.5 °C for the class Office. (+) In idle usage, the average temperature for the upper side is 25.4 °C / 78 F, compared to the device average of 29.4 °C / 85 F.
(±) The average temperature of the palmrest area of similar devices was 28.2 °C / 82.8 F (-1.3 °C / -2.3 F). 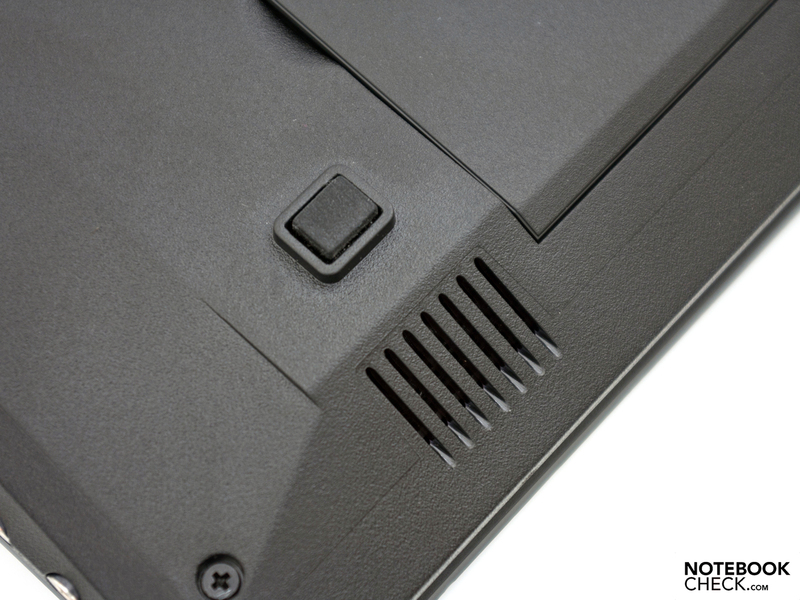 Two stereo speakers are located underneath the case's front edge. Their sound quality isn't very impressive. The high pitches are partly too dominant and the maximum volume is a bit excessive. The low pitches and basses don't exist, so it's not really a pleasure. 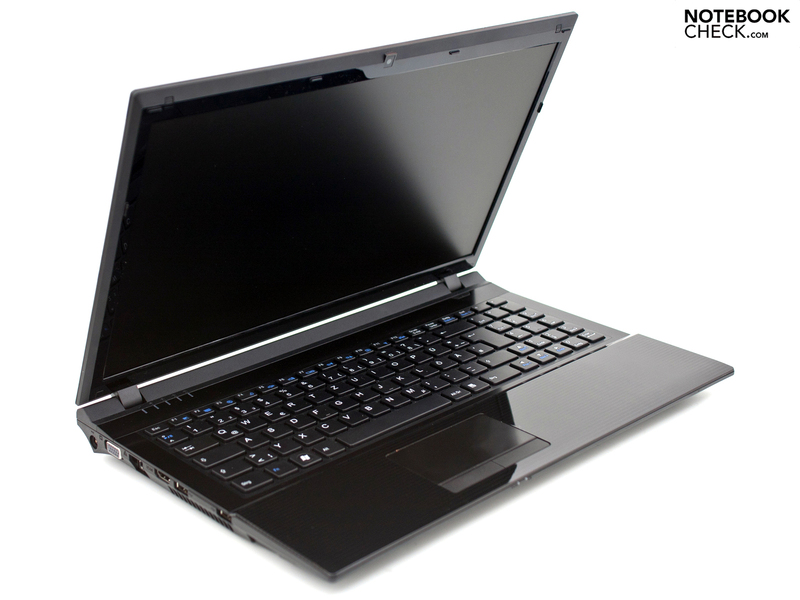 Expensive multimedia laptops with a higher quality speaker system have a clear advantage. Headphones or external speakers are recommendable for regular movie or music rendering. There is a 3.5 mm stereo jack and an HDMI out available, depending on the device and utilization. The transmission via these ports is convincing and we didn't hear any crackling. The Intel Pentium P6100 is stated to have a nominal power loss (TDP) of 35 watts, which is on par with considerably the newest and stronger Sandy Bridge processors (Intel Core i7-2620M). 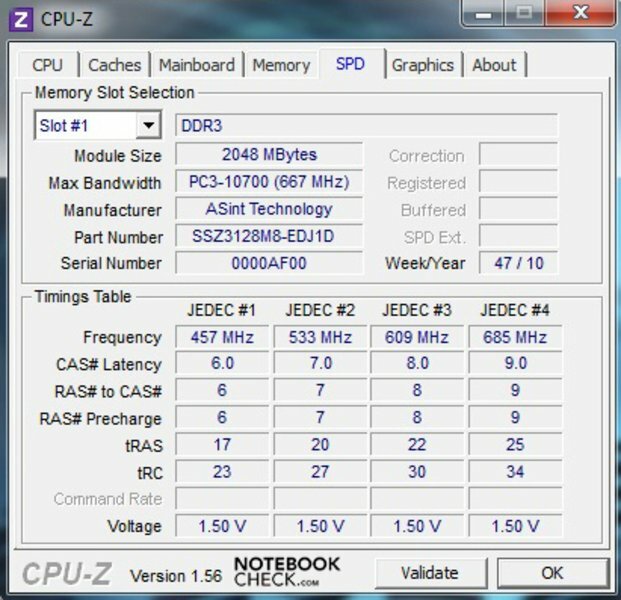 The Xesia E510 Entry consumes between 21.1 and 26.4 watts in idle mode. 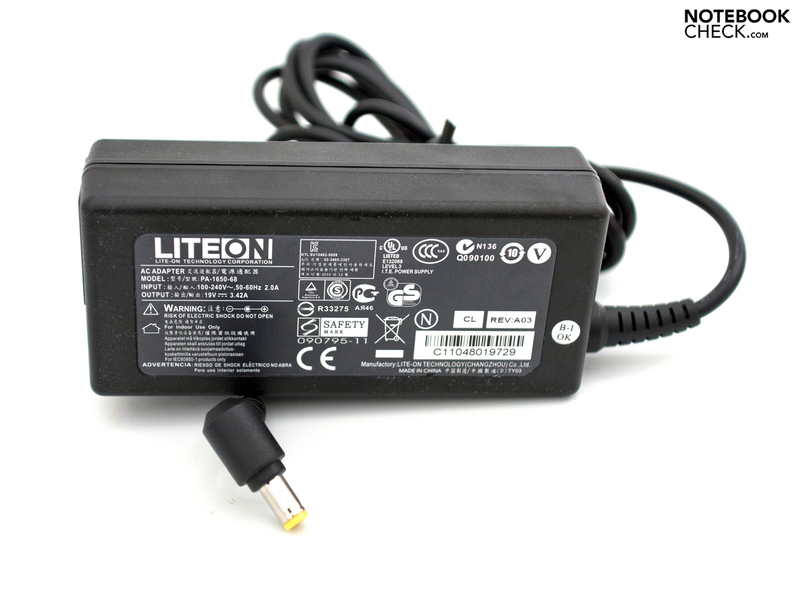 The consumption rates increase to a maximum of 52.5 watts during load. 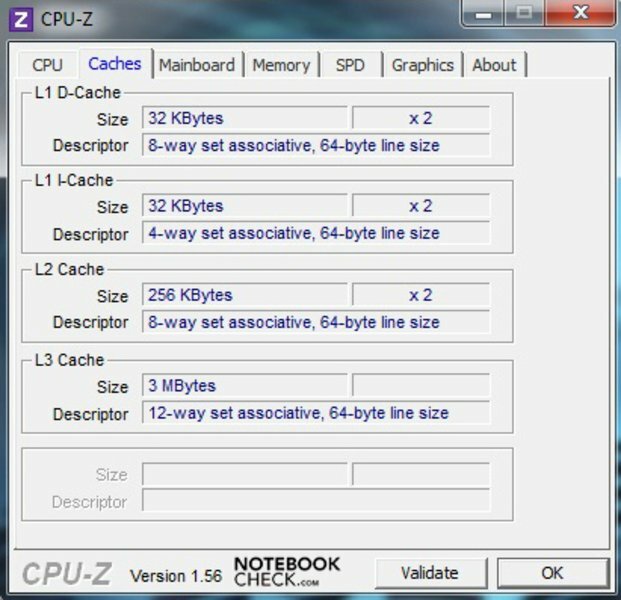 Thus, the device can challenge larger multimedia notebooks. In addition to the power consumption, the small 6 cell battery of only 4400 mAh (49 watt hours) is another brake for the mobility. We determine the battery life in load with BatteryEater's Classic Test. A whole charge is drained after 96 minutes (1 hour 46 minutes). You have about two and a half hours for watching a movie or surfing on the internet via the installed WLAN module. These measurements come closest to practical use. Even the maximum possible battery life (Reader's Test) is fairly weak with 3 hours and 12 minutes in comparison. If you mainly use the device at home, you can likely live without long battery runtimes. 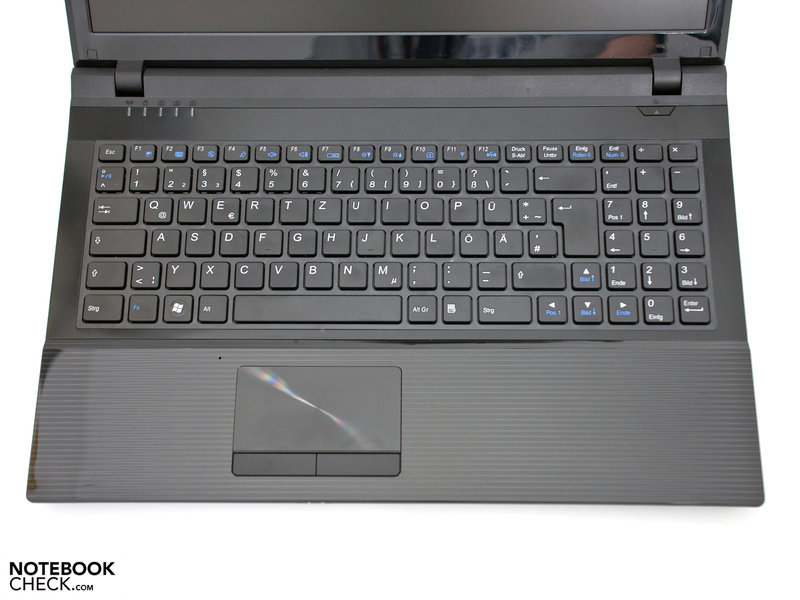 The Schenker Xesia E510 Entry is the new entry level laptop from Leipzig. It wants to stick out in the device category of office notebooks. Its start price of 447 euros without an operating system is basically attractive, but other laptops are being reduced in price every month. A current price comparison shows that similar configurations are available for about 350 euros. 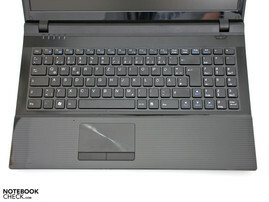 An example would be the Lenovo G560 Notebook. However, you have to consider that Schenker's laptop comes with a 24 month warranty, including pick up & return service, ex-factory. The Xesia's design is convincing, but the workmanship proves to have a few drawbacks in details. The generous input options and the matt display with a good brightness are nevertheless bonus points for the device. 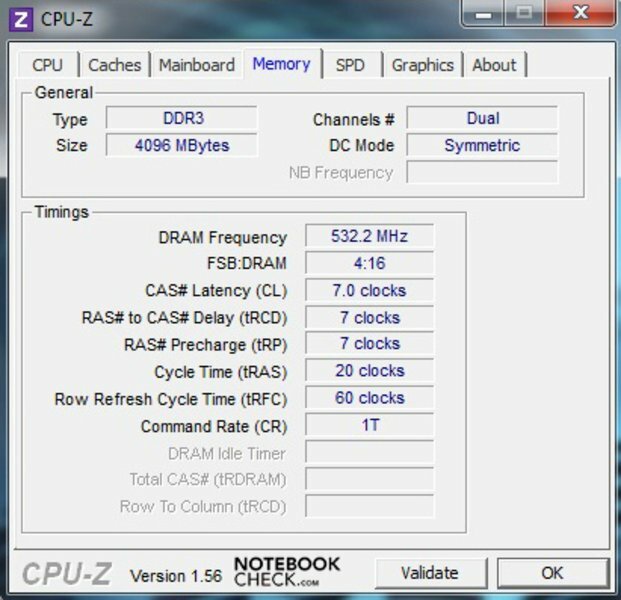 The Intel Pentium P6100 with a performance of 2 GHz supplies good office performance. 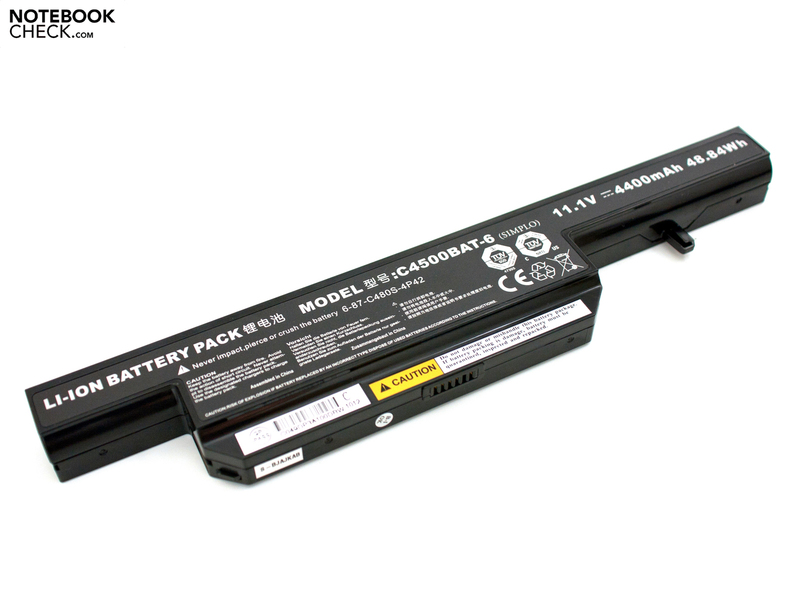 The major reasons for complaint are likely the short battery life and the almost permanently running fan in the configuration. But this suffering is known from Clevo barebones. Overall, the Xesia E510 Entry is an interesting device that shows both weakness and strengths. In the meantime, a vast amount of laptops are available in this price range and comparisons seem recommendable. We're testing the new Schenker Xesia E510 Entry office notebook. The entry level model includes a DVD drive. BluRay is optional. Two maintenance covers allow a fast exchange. The sound range of both stereo speakers is very dreary. A 500 GB memory from Samsung is installed ex-factory. The case fan is small, loud and runs almost permanently. 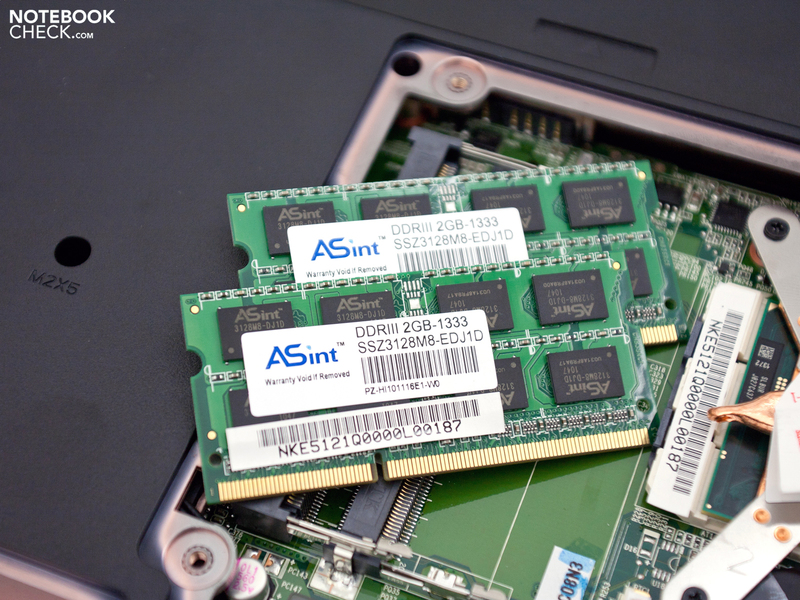 The RAM from ASint can be extended to a maximum of 8 GB. 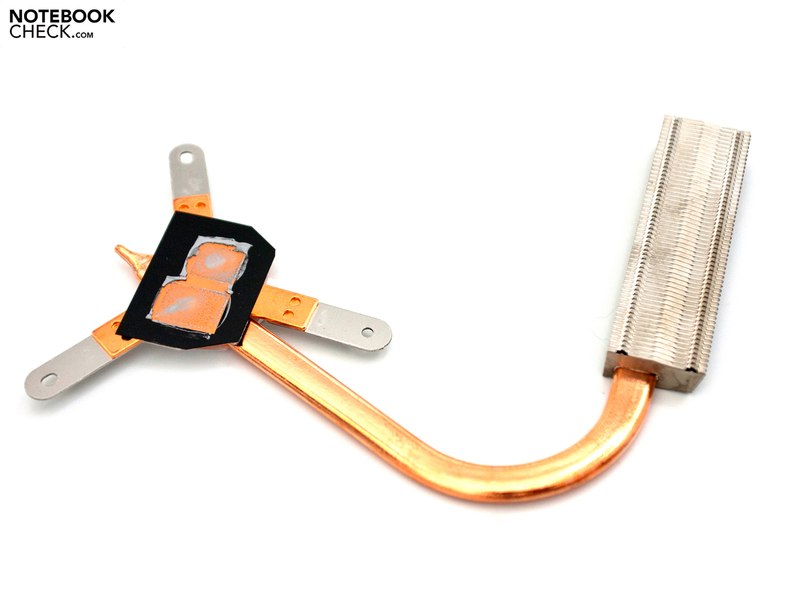 The waste heat is discharged via a copper cooling element. The Intel Pentium P6100 bids an acceptable office performance. The 6 cell battery appears to be overtaxed with a TDP of 35 watts. One HDMI out (version 1.3) is installed. But alas, not USB 3.0. 1.3 megapixels is enough for a good picture transmission via Skype. It's based on the E5121Q Clevo barebone from Taiwan. 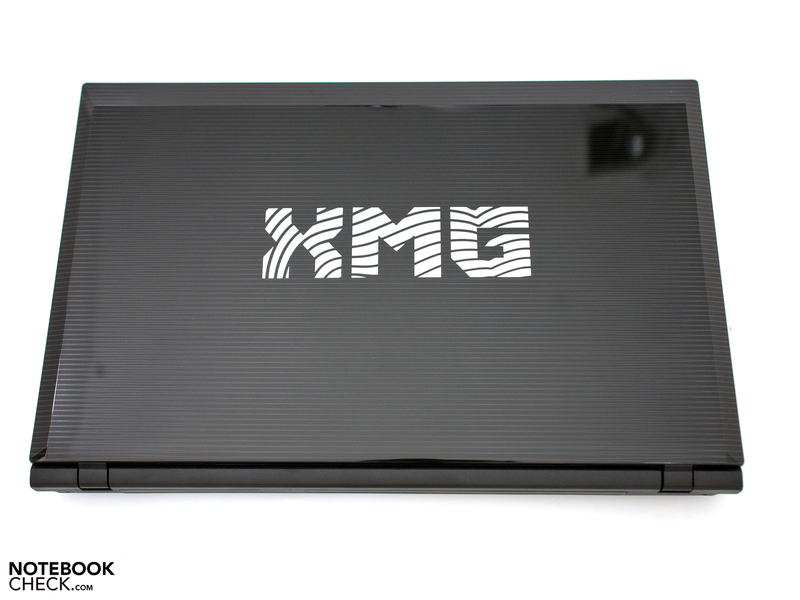 The coating looks high-end, but attracts fingerprints. Partly sharp edges aren't impressive. The maximum opening angle is reached at about 130 degrees. 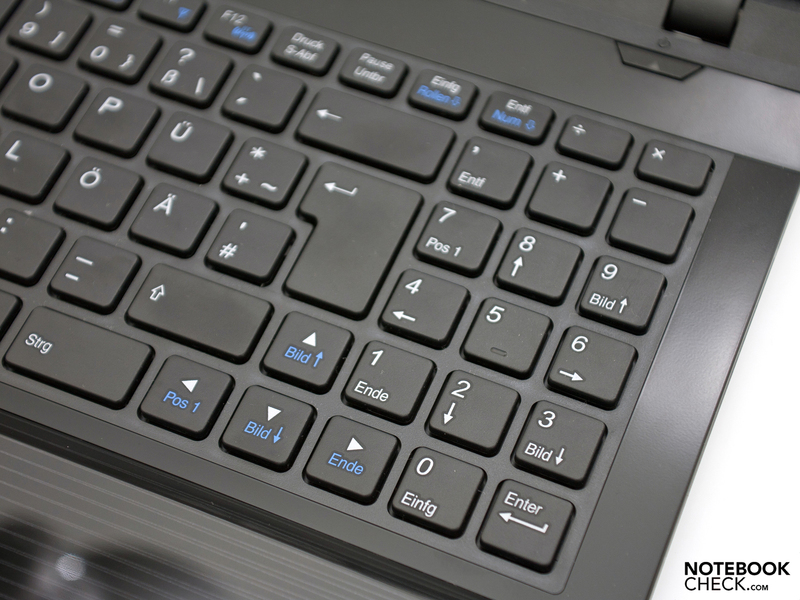 The Clevo-typical keyboard has a separate number pad. The hinges supply a tight grip with evident teetering. 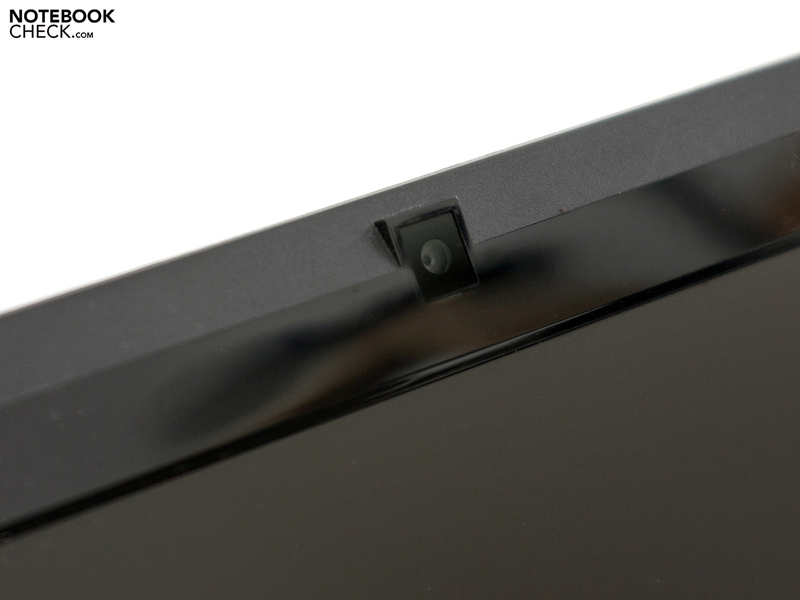 The mix of matt and glossy surfaces on the display bezel. Fortunately, the adapter is fairly compact and small. The elegant design of the Clevo barebone, the good office performance and the low start price. 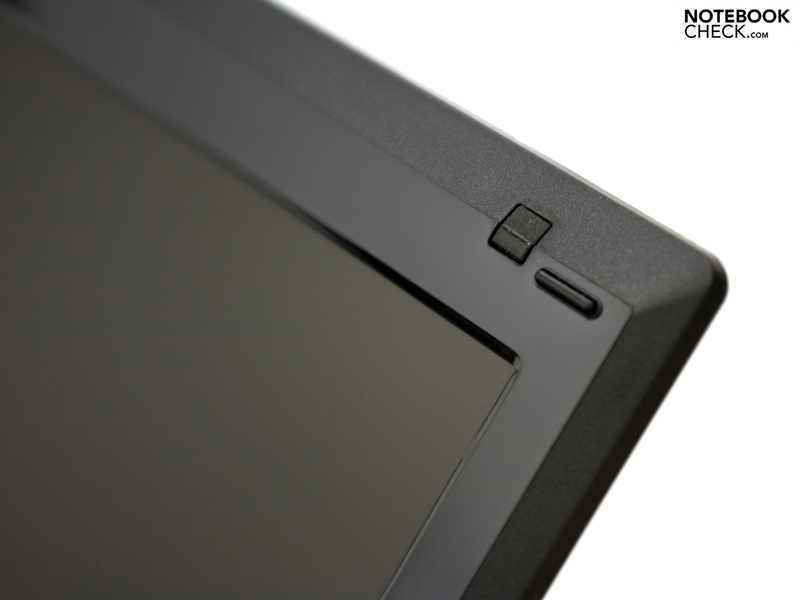 Better workmanship in details and stability in the display lid and wrist-rest area. The matt display with an agreeable brightness, which even allows outdoor use. 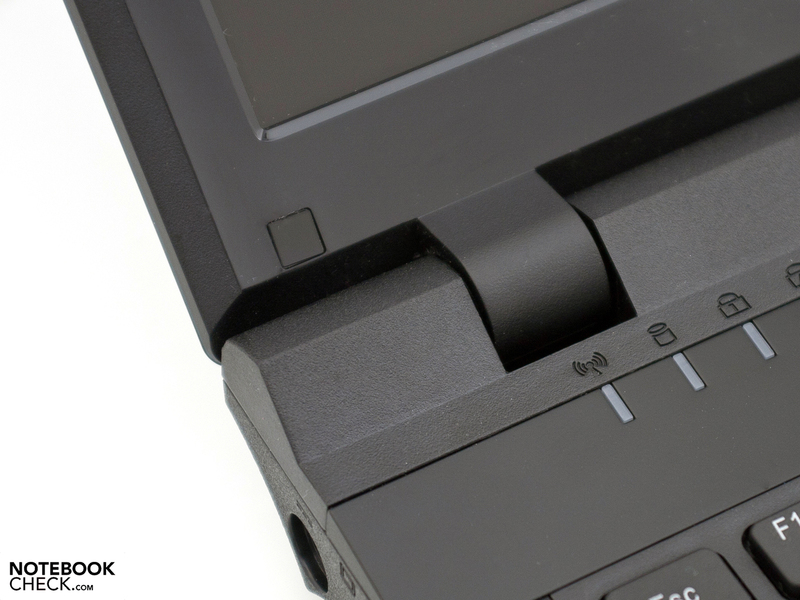 For example, the Sony Vaio VPC-EB3E4E/WI with the same CPU, the Samsung RV511, the Lenovo ThinkPad SL510, the HP 625, the MSI CR630 or the Asus A52JU.